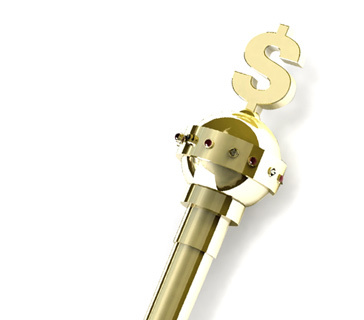 What does the term "down to the green" mean in the world of poker? 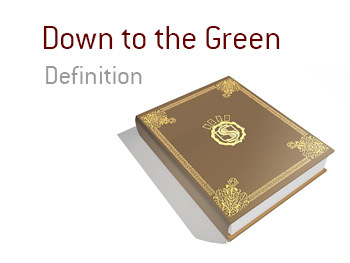 What is the definition of the term "down to the green"? In poker, being "down to the green" means that you are all-in. For instance - when you initially sit down in your tournament or cash game, you will have a pile of chips directly in front of you. Now - if you are still in the tournament or cash game and don't have any chips in front of you, this means that you are "down to the green" and that all of your chips are currently in the middle of the table. Example: I went to a local casino last night to play in a midnight $100 tournament. After being especially card dead for the first three levels, I decided to get aggressive. After being "down to the green" on three different occasions, I managed to triple up to a 2x starting stack and was able to eventually cash in the event. In this example listed above, the player states that they were "all in" on three separate occasions and still managed to remain alive. Optimally, a player will be able to "chip up" without having to get into any all-in confrontations.